After earning a degree in religious education from Minnesota’s Northwestern College, Irma worked at Minnetonka Community Church with Tim LaHaye, and later served on staff with The Navigators. 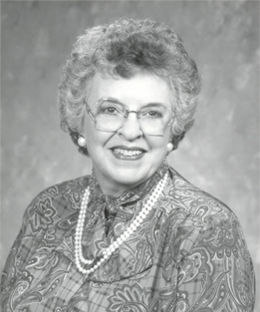 After moving to Oklahoma City, she married Gene Warr in 1964 and began traveling extensively on an international scale, speaking at conferences on the husband-wife relationship. Irma’s ministry with wives focuses on discipleship and instruction for being the kind of wife and mother that Scripture commands.